Geyser Link Shuttle - Wai-O-Tapu and Waimangu. Day trip from Rotorua. Geyser Link Rotorua – let us help you explore Rotorua’s thermal wonders. Geyser Link Rotorua operates a daily shuttle service departing from Tourism Rotorua Visitor Centre to the thermal wonders that Rotorua and the volcanic plateau are famous for. 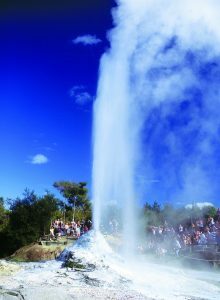 At Wai-O-Tapu Thermal Wonderland you will see the Lady Knox Geyser come to life and reach a height of up to 20 metres. Stroll around on your own and explore all the unique lakes, pools, craters and walkways that the park has to offer. Or visit the Waimangu Volcanic Valley with it’s seven craters formed by the eruption of Mt Tarawera. Within 15 years of the Eruption, the hot springs of the Waimangu Geothermal System were established within the newly formed craters, making this the world’s newest geothermal eco-system. Today, you can enjoy a range of easy walking, advanced hiking or a boat cruise. Half and full day options available. For the ultimate experience visit both parks in a day! 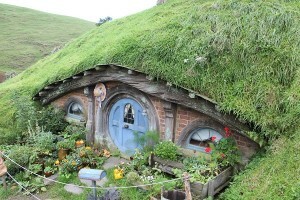 For the Lord of the Rings enthusiast, combine a morning Geyser Link Tour with a Hobbiton afternoon tour. The most popular of all our trips – departs daily from 9.15am with picku ups starting at 8:45am from all central Rotorua accommodation and the I-Site. 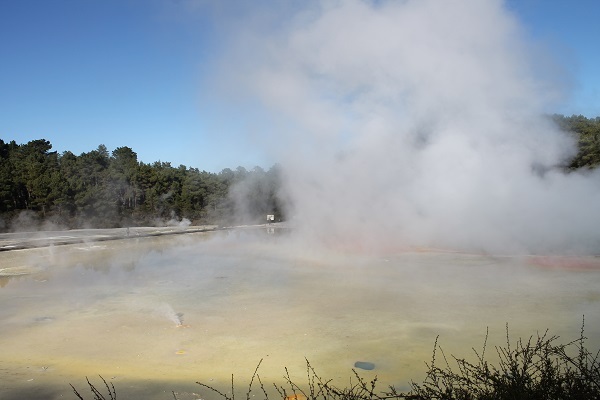 Transfer to Wai-O-Tapu along the beautiful Thermal Highway with a stop at the well known Lady Knox Geyser to see it explode into the air and entry into the park. Returns at 12:30pm. Departs daily at 12:30pm. Does not include the Lady Knox Geyser. Departs daily at 9.15am with pick ups starting at 8:45am from all central Rotorua accommodation and the I-Site. 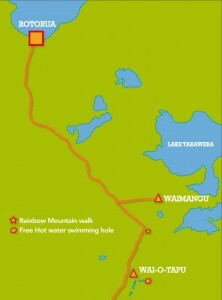 Transfer to and from Waimangu along the Thermal Highway. Waimangu is where the beautiful Pink and White Terraces once were before they were destroyed in the eruption. 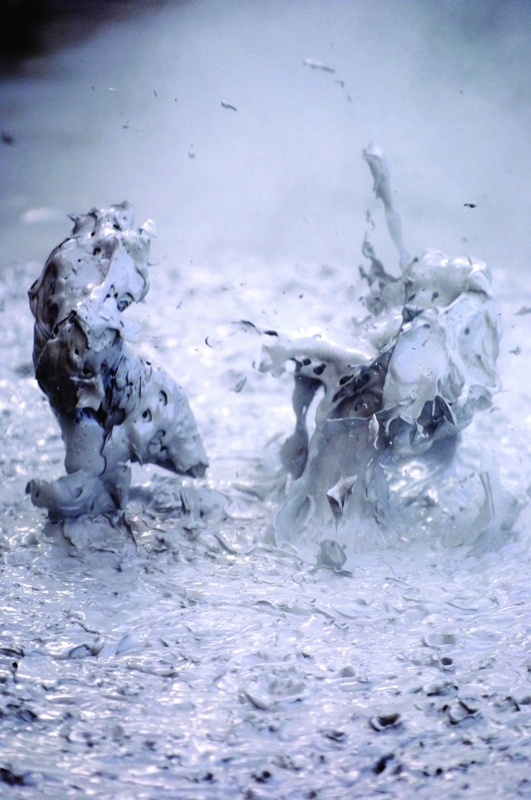 The ultimate in Thermal Wonderland experiences. 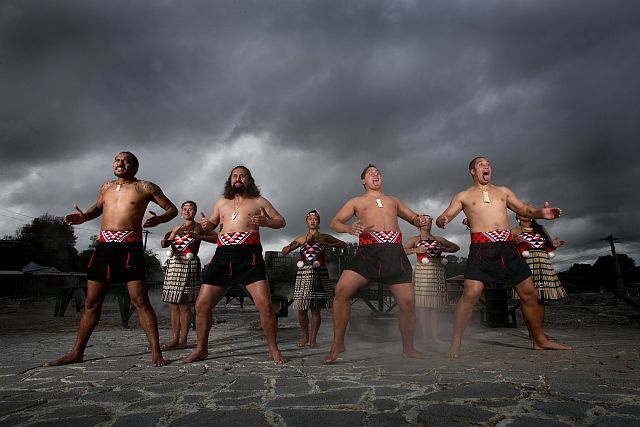 Departs daily at 9.15am from all central Rotorua accommodation. Enjoy a morning at Wai-O-Tapu including the Lady Knox Geyser followed by an afternoon at Waimangu. Departs daily at 9.15am . 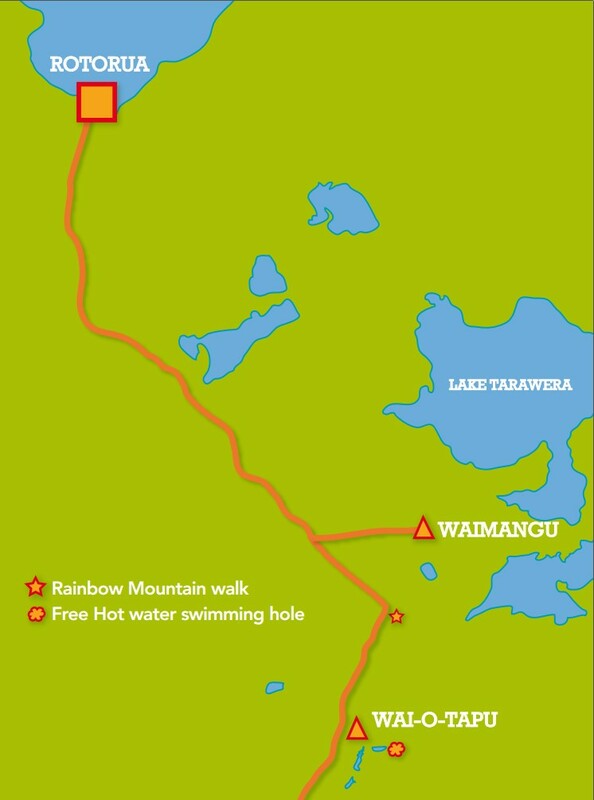 Transfer to Waimangu along the beautiful Thermal Highway with a boat cruise on sparkling Lake Rotomahana, a lake with its own separate geothermal system. Full Day tour. Departs daily at 9.15am. Spend the morning at Wai-O-Tapu including a visit to the Lady Knox Geyser followed by an afternoon Hobbiton Movie Set Tour. 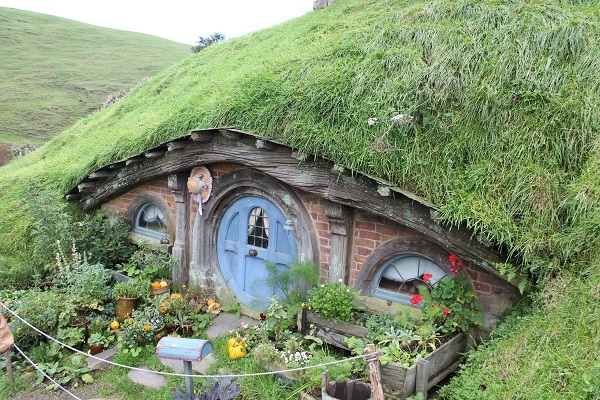 A great option for Lord of the Rings lovers world wide. Full Day Tour. Departs daily at 9.15am from all central Rotorua accommodation. After spending the morning at Wai-O-Tapu Thermal Wonderland you will be dropped off at Whakarewarewa for the afternoon. Lunch can be purchased at either Wai-O-Tapu or Whakarewarewa. FOR ALL OUR GEYSER LINK ROTORUA OPTIONS CLICK HERE!